If you find an injured bird or small mammal and cannot contact a rehabilitator, you may bring it to AEC (except for bats, skunks, deer/fawn or raccoons). State and Federal law requires a permit for the rehabilitation of all wildlife. AEC does not hold a Federal Migratory Bird Rehabilitation Permit or carry a Wildlife Rehabilitation Permit, but we can temporarily stabilize wildlife (migratory birds or mammals) for 24 to 48 hours. Stabilization may include using warming techniques, fluid therapy, nutritional supplementation and wound management. We then coordinate transfer of the animal to an appropriate rehabilitator. Often we will transport wildlife to the Howell Nature Center, in which case we will request a $30 fee which is given directly to the Howell Nature Center (or you may write a check directly to the Howell Nature Center as a tax deductible donation). If a migratory bird is brought to us, as veterinarians we are allowed to perform euthanasia if the bird is not included in the Endangered Species Act or the Migratory Bird Act and if the bird has sustained injuries requiring amputation of a leg, foot or wing at the elbow, joint or above and/or is completely blind. We are not allowed to sustain the life of any migratory bird that cannot, after medical management, feed itself, perch upright, or ambulate without inflicting additional injuries to itself. 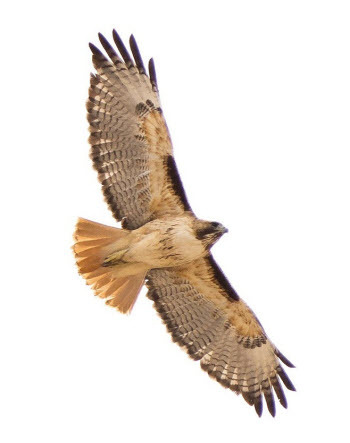 If the bird is included in the Endangered Species Act or the Migratory Bird Act or is a golden or bald eagle, muted swan or raptor the Department of US Fish and Wildlife must be contacted prior to any treatments beyond temporary stabilization (or if euthanasia is to be performed). If a small mammal is brought to us, as veterinarians we are allowed to perform euthanasia if after medical or brief surgical management they will not be able to be released into the wild. All wildlife must be transported to a wildlife rehabilitator within 24 to 48 hours without exception.